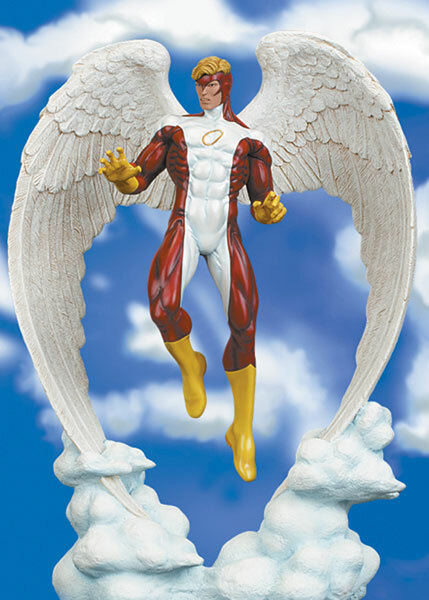 X-Men Hero "Angel"... Super Hero Investor? There is trouble in the town! In case you haven’t seen the headlines, let me deliver some bad news to you. You’re not going to like it, but it’s time you hear it too. The United States is no longer great at spurring entrepreneurial innovation and part of the blame lies with the angels (investors, that is) among us. Access to start-up-stage capital has seemingly become limited to NYC- and Cali-based mobile-social-web-app-companies. For less than a hundred grand, you can build and launch any inane spin on internet freemium business model you can dream up (unless you’re ColorLabs, in which case it costs $41 million). Hire a couple of off-shore teenagers, recruit a cashed out late-twenty-something founder, meet a zillion friends-of-friends at an entrepreneurial summer camp, and you too could have a $100 million exit or more. Let me just say that I completely believe in the free-market. TechonomicMan understands that enlightened self-interest is the best platform upon which an economy should be built. I understand that people should be rewarded for investing in companies that grow fast and succeed. Invested in Zynga, LinkedIn, Twitter, etc. and stand to make a big payday? Congratulations. That sort of financial avalanche of success has a huge important place in this country. Huge and important. Angel investors have been a driving force behind many hot companies today. It is hard to get their investment and it should be. But it seems as if it has gotten ridiculously hard over the past decade. Many good companies have gone begging…if you can’t get the angel investment, initial milestones don’t get met. If initial milestones don’t get met, the A round can’t be obtained and the company ends up dead-walking, mothballed or bankrupt. At the seed stage of development, many companies need merciful angels to approach this valley of death. But their investment decisions have become increasingly merciless in recent years leaving many promising, nascent companies to starve in the sun. So I’m looking for a new breed of investor. An evolution of the angel investor paradigm. The term “angel” investor comes from broadway and the private money behind getting shows put on the stage (“angels” in the wings…get it?). University of New Hampshire professor William Wetzel coined the term “angel” investor for those who made investments in start-up companies back in 1978. Back in those days, and through most of the 90’s, angels acted fairly independent of each other. Many certainly invested together, but angel groups and funds were far less common. Individuals acting in a highly coordinated, almost collusive way, really became more common in the late 90’s. And since then, two things have happened to fundamentally change the approach of angel investors. For one, as angels become more organized, they became more aware of important legal terms like drag-along rights and participating preferred rights. Angel group term sheets began to look suspiciously similar to venture capital fund term sheets. I’ve recently seen a 12 page term sheet from an angel fund that would lead to a $200,000 investment at most. That’s less than $17,000 of investment per term sheet page!! (I’d like to suggest a new metric…each page of a term sheet must lead to $100,000. For example, if your angel groups proposed investment is for only $200,000, the term sheet should be no more than 2 pages!) Not only have the investment terms become more complex, but angel investors often belong to multiple angel groups. One investor who doesn’t like a particular deal could contaminate multiple pools…which certainly reduces the entrepreneurs ability to raise competing term sheets. A second fundamental change to the way angels invest is the prospect of a big, bubbly, exit. Many that I meet in the angel community made their success in the dot-com era. That world has evolved into the online application world today…and mobile apps. These businesses are dramatically less expensive to get off the ground. Quicker paths to market and early signs of success and subsequent valuation increases make these types of companies more appealing. The quick-hit or quick-cheap-fail model stimulated by Y Combinators and clones, prevents other types of businesses from receiving potential attention and investment. A “crowding out” occurs in economics parlance. These are the reasons I feel that America needs a new type of an investor. Let’s call them “Hero Investors”. We need private investors that are interested in helping to build long term sustainable businesses. Find entrepreneurs who can launch a business that can be profitable in relatively short timeframes (profitability is a powerful concept ignored in many of todays technology stars). Invest in companies that have bootstrapped their way to a few hundred thousand in sales and proven that they have a product that they will be able to produce profitably for a growing market. These won’t be quick-exit businesses…might be 7-10 year windows. These companies will probably produce actual products…electronic devices or advanced materials or enterprise software solutions. Pick an industry you actually understand, Mr. Hero Investor, and get involved in the business with your equity and your sweat. There are founders who need your help. America’s innovation leadership is being stifled because great entrepreneurs with great business ideas are not getting funded. I reject the notion that there is any significant innovation in Facebook and Zynga and LinkedIn and FourSquare and GroupOn. These are advertising services that use true innovations invented by others like Apple and Cisco and Intel. Don’t get me wrong; these are legitimate businesses. But they don’t feed a bigger economy. They don’t generate deeper supplier relationships. It is not a coincidence that the fast growing economies today are economies that make tangible assets. And we continue to slip on that scale. So Mr. Hero Investor sir, if you’re out there, I’m sending this distress call. I hope you’ll come to our rescue. Help save us from from the evil villain of short-sightedness. Restore our confidence that good companies can be built by a long-term vision for the future where hard work is rewarded with profitable businesses that sustain the generations. This entry was posted in Economic Development Policy, Innovation and the World, Seed/Venture Capital, Tech Based Economic Development and tagged angel funding, angel investor, entrepreneurs, innovation, profits, United States economy. Bookmark the permalink. Really interesting post, Wayne. Ya know, I never really took the time to understand angels, or any investor for that matter and this post was extremely enlightening. I like your idea of a hero investor. I definitely feel, from the most basic of standpoints, that investing in a company who already has the skills and wherewithal to bootstrap and prove their sustainable, is smarter than not. Thanks for the comment. Proven ability to execute is a big deal and is a critical factor in making the investment. I think that the types of businesses that would strengthen our economy are basically too expensive to bootstrap for too long.